Somerby Franklin was great and everyone was really nice. Everything was very clean, and the lady I spoke with was amazing. The place was immaculate and the staff was super friendly. I actually spoke with someone from the memory care unit who was great. They were baking with the residents. Everything smelled very clean because it was very clean. My mother lived at Somerby Franklin. It is brand new and like a 5-star hotel. It's beautiful, and they gave excellent care. I was very happy for my mom. They had lots of activities and made sure everyone was included and invited. It was the best of the best. The dining area was beautiful, and the bistro was excellent. I visited Somerby Franklin and loved it. I loved the buildings and just everything about it. It was very updated and didn't seem like your traditional assisted living place. It has a hotel feel, and it's very nice. We wanted to try the food, but they didn't invite us. We chose another place because this one is out of our budget. I visited Somerby Franklin, but it was too pricey for me. The appearance of the place was good overall. The apartment they showed me doesn't have a separate room for the bed; the bed is just in the room. The food was OK, and the dining are wasn't really anything but a lot of tables. They didn't have as many amenities as the other community I was in. They had activities like movies, going to tea, and things like that. They also had a library and a swimming pool for the residents. Close to the glitz and glamour of Nashville, Somerby Franklin is tucked away in idyllic Franklin. 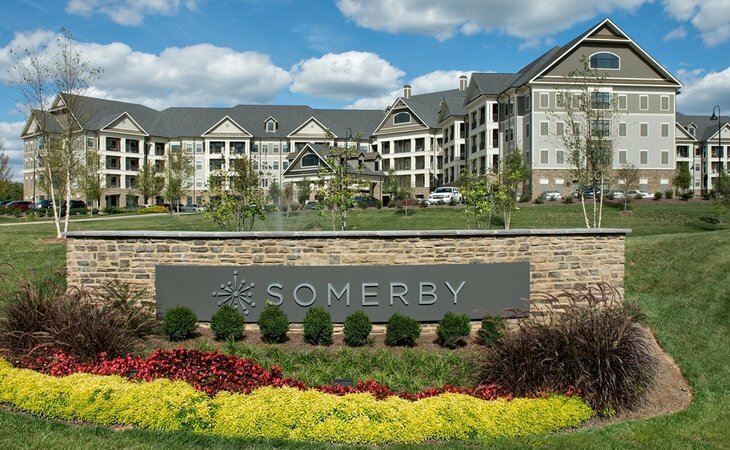 This quaint, historic town is a cozy and convenient place to settle and is frequently ranked as one of the best places to retire in the U.S. Somerby Franklin simply sparkles with the best of what Somerby knows how to bring to retirement living. Choice is a big part of the experience here. Our community features four dining venues, two theaters, access to medical care with physician space on-site, a health club, heated indoor aerobics pool, and a physical therapy area. When you’re looking for fun, our library and media center, and multiple indoor and outdoor social areas – which include a coffee bar, lounge, and craft rooms – provide hours of entertainment. There’s no shortage of things to do or wonderful Residents to enjoy time with. Join us, and discover why Somerby Franklin is Full of Life. Spirituality. Purpose. Activity. Relationships. Knowledge. These pillars form the foundation on which all Somerby programming is designed. Our events, outings, and activities are purposefully crafted to connect with one or more of our five key Discover Your Spark objectives: support positive life choices, foster meaningful relationships, honor history, and traditions, encourage exploration and growth and be champions of fun. we go the extra mile to put the interests of our residents first by investing in their physical, emotional and spiritual lives. It’s a way of doing things that we call The Somerby Spark. Our Independent Living community offers full kitchens and washer/dryers. Our amenities are top notch! What should caregivers and potential residents know about Somerby Franklin?